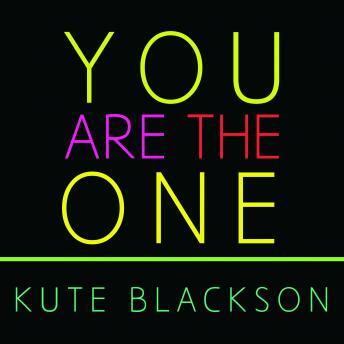 Kute Blackson comes from a long line of spiritual leaders and works with people from all walks of life, offering his own uniquely powerful process to transform lives from the inside out. His inspirational and life-changing YouTube videos, seminars, and conferences are known throughout the world, but it's his trademark transformation experiences that sets him apart. The intensive one-on-one and one-of-a-kind transformational mother of all trips is a 14-day, 24/7 journey into such remote places as the bowels of India, where the client-armed with nothing but a backpack, a change of clothes, and a journal-works with Blackson until he discovers what he hasn't yet found. Whether it's about forgiveness, confronting inner demons, letting go of self-hatred or the scars of the past, those hard-earned, sweat-proof lessons Blackson instills in his clients are right here, in You Are the One. For someone to save you? If so, you're not alone. But it's not going to happen. Your parents won't rescue you. Your friends won't carry you. No one's coming. Know why? Everything you are seeking is within you already. Because you're already here. You are the one.